Top 10 Minecraft Texture Packs is presented to you by PackNation. 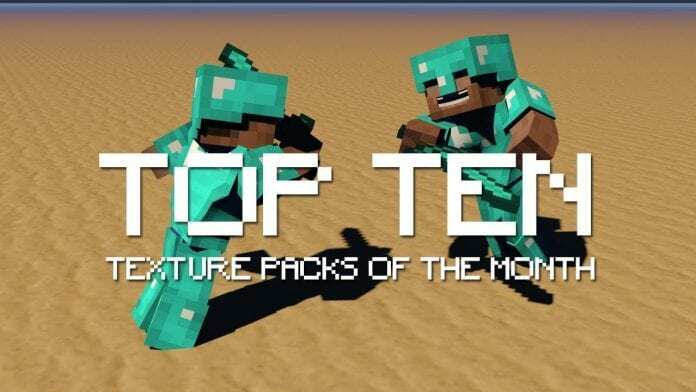 Every month we select the top 10 most downloaded and most viewed texture packs on minecraft-resourcepacks. We compile the top packs with the most downloads and the most views. We then go and tally up the statistics and run the numbers. After a month's worth of viewing the statistics, we finally go and present to you the top picks for the month of September 2018. To begin the countdown, please go to the bottom of this page and click the blue start button to begin the official countdown for the best PvP Texture packs of the month. You can check more PVP packs over here. To make sure you get the best game experience possible we strongly recommend using PvP Texture Pack in combination with Optifine. For the best PvP experience, we recommend you use Minecraft version 1.8 or 1.7. If you don’t know how to install PvP Texture Pack just look below, we’ll provide you with a short tutorial there. This installation guide should work with all Minecraft versions. To see the Official Download Links just scroll down. 2. Download the PvP Texture Pack from the official links. To begin the countdown of the top 10 packs of the month please go and press the start button.